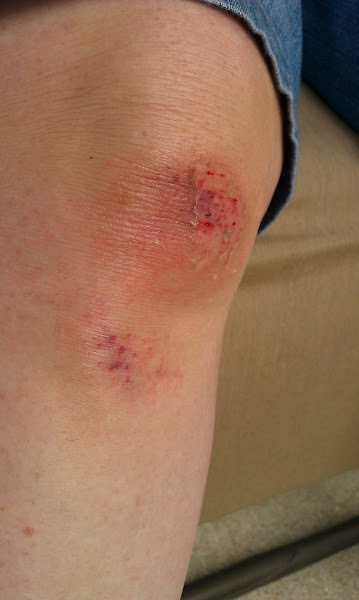 Today we went for a bike ride and wouldn’t you know it while stopped Ms. Klutzomatic fell off her bike and got a boo-boo. Two boo-boo’s in fact, at least that we can see. Hopefully it is just the skinned knee, skinned elbow and bruised pride and nothing more serious that will turn up later. That’s some haircut. Herb would love it. For me, that is. He just loves women that have short haircuts. As for the falling off the bike, Herb says we will think twice before buying me a bike!! 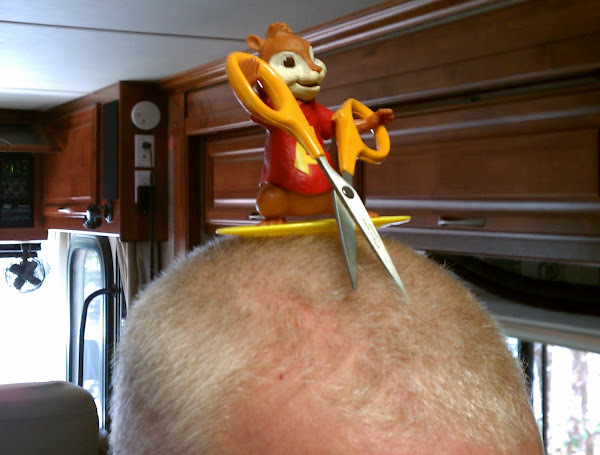 Rob, maybe Alvin could shave Jim’s head. Linda, ouch, ouch. Looks bad. Hope Dr. Picc. is taking good care of you. We arrived Dallas yesterday so we’ve started the 6 week journey. See you in 3.